Do you love plants but hate the responsibility? Meet the Air Plant, the dream plant for every renter and not-so green thumb! Ayre & Oxford has all the information you'll need to grow and display these amazing plants in your own apartment. Air plants are the perfect companion for renters because they don't require a ton of sunlight or daily watering. Air plants got their name because they can survive for days with just air! The leaves absorb the moisture, not the roots, so they don't require any soil at all. These amazing plants are non-toxic, so they're perfect for pet owners and families. You can even add them to your décor as a living decoration! Hang them, display them in a glass orb, or look for other unique display options on Pinterest, Instagram, or Balcony Garden Web. These low maintenance plants only need a little sunlight, a place to sit or hang, and water. Air plants can survive 7 to 14 days without watering, but if you see wrinkling, loss of vibrancy, or rolling of their leaves it's time to give them a little extra water. To water an air plant, just fill a sink or bucket with water and soak the plants upside down for 30 minutes to an hour, or until it no longer looks dehydrated. Blooms on air plants can be very fragile, so instead of soaking, just rinse the plant thoroughly. After soaking your plants, gently shake out any remaining water and leave them upside down on a towel to dry out. 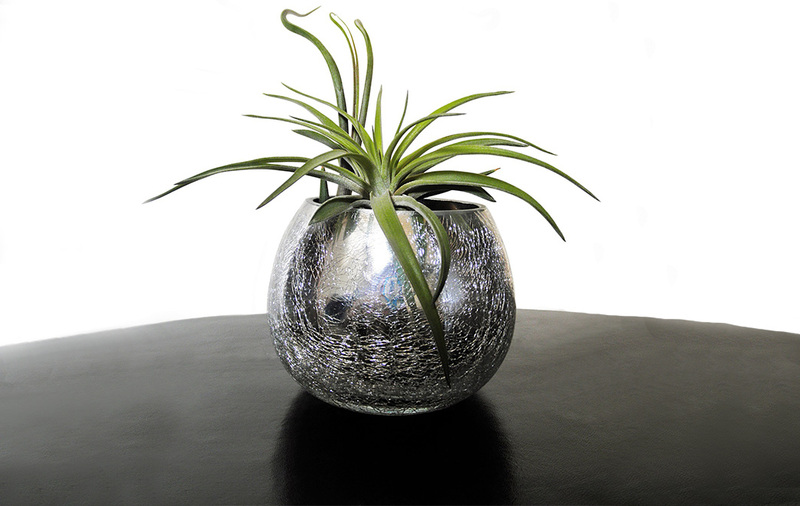 Water trapped in an air plant can cause rot and damage your plants. Like the spider plant, air plants propagate to create pups, which are baby air plants ready to grow on their own! When an air plant is ready to propagate, you'll first see blooms, which means small pups will soon form at the base of the plant. These pups can remain on the plant, be disposed, or broken off to mature on their own.